JUMP+REACH / GAIA Europe is dedicated to quality. 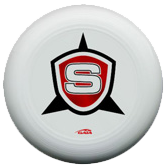 Therefore all information and prices below are related to THE standard discs for the sport of Ultimate world wide - the Discraft 175g Ultra-Star. 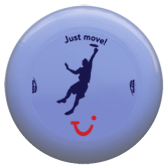 Other Ultimate discs - and of course Freestyle, Allround, Disc Golf, Disc Dogging and Mini discs - can be custom printed as well on request. 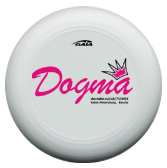 JUMP+REACH / GAIA Europe has more than 15 years of experience in custom printing on discs and importing, as well as excellent connection to Discraft. 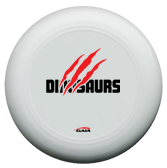 This already helped many customers to save hundreds of Dollars and can help make a special request come true where Discraft normally would have said "no". ... and if you want to take advantage of the GAIA Sponsorship Prices, even as cheap as it can be! 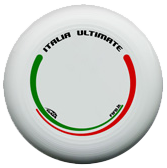 All prices are all-inclusive prices in Euro and include all kinds of costs (discs, printing, overseas shipping, duty, tax, several fees, etc.). All prices are per piece, including VAT (value added tax) and plus shipping from our warehouse in Germany (examples for shipping to most countries in Europe see point 4). 3.2. Regular Prices are suited perfect for companies or an anniversary, wedding etc. 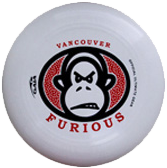 As mentioned above, all prices already include overseas shipping as well as all kinds of costs and fees. Only shipping from our warehouse in Germany needs to be added (as it is quite a difference if shipped to Netherlands or to some island in Norway). 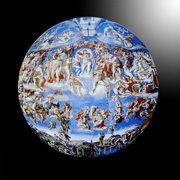 After receiving your print ready artwork and payment, production time for most orders is 4-6 weeks. Please add 5-10 business days for shipping to your doorstep. Tip: Plan ahead and place your order as early as possible. 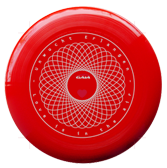 Depending on season - spring and summer is absolutely peak season - you may have to calculate with up to 8-10 weeks production time at Discraft (plus shipping). There is a limited capacity for rush orders. If you have a very urgent order, just let us know when placing (!) your order. We'll do our best to find some free capacity for you. 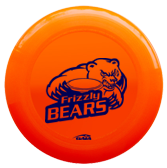 Rush fees depend on season and how quick your order is needed. 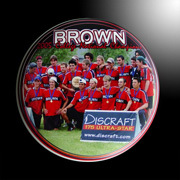 The standard printing to bring your logo on a Discraft 175g Ultimate disc is the "Hot Stamp" process, also called "Foil Printing". 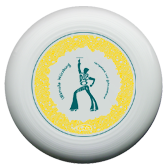 A very thin foil in one of the below shown colours is put on the disc and a hot stamp in the shape of your design is brought down heat pressing the foil to the disc to stay for long. 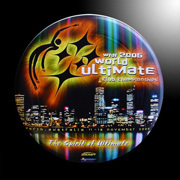 For a 2-colour design each colour gets it's own hot stamp and both foils will be put on the disc successively. 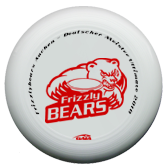 As the foils only stick to the disc but not on top of each other, a separation is needed between the two colours. 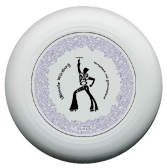 Discrafts alternative for a full-colour print is the great SuperColor process. 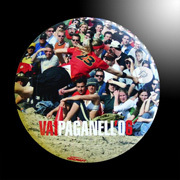 It is offered in two versions, the CENTER SuperColor and the FULL SuperColor. NEW is the fantastic CENTER SuperColor print process. 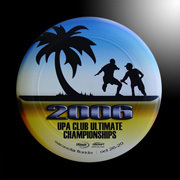 On these discs the exact same area is printed as with the Hot Stamp process (s. above), the roughly 17cm diameter print center. 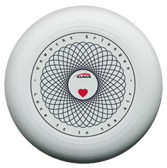 This results in the great fact that the discs feel exactly the same as a "true Discraft 175" wherever you touch it for throwing! This printing process is a revolution (!) 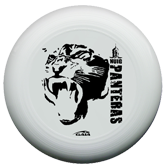 and the CENTER SuperColor discs are already approved by USA Ultimate for all championship play up to the U.S. Open and the Nationals! 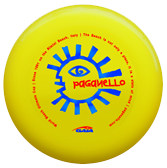 Below prices are all-inclusive prices in Euro and include all kinds of costs (discs, printing, overseas shipping, duty, tax, several fees, etc.). All prices are per piece, including VAT (value added tax) and plus shipping from our warehouse in Germany (examples for shipping to most countries in Europe see point 4). 9.2. Regular Prices are suited perfect for companies or an anniversary, wedding etc. 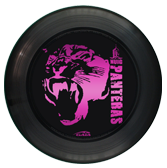 With the FULL SuperColor print process the print covers the full size of the disc up to the rim (28cm diameter), not only the roughly 17cm diameter center, and ordering starts at only 50 discs (more details on request). The "Hot Stamp" printing described above has some great advantages but also needs some special attention in terms of preparing your artwork. 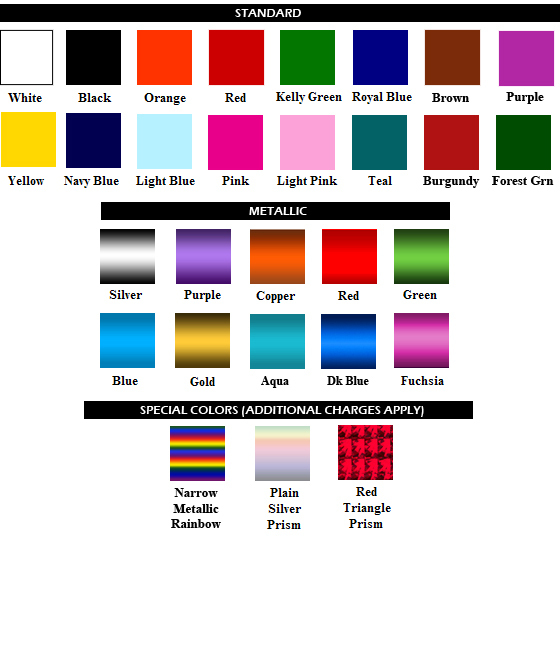 All you need to know to make your artwork print ready can be found in the design checklist. If you are having trouble finding somebody to create your art, the JUMP+REACH Art Department can turn your concept into a print ready design at a low cost. For most designs we will only need half an hour to a maximum of two hours to bring your design from basic to print ready. Art design fees are only 39 Euro/hour. ... simply download the .xls Order Form and fill in, check the design checklist, download the GAIA logo and finalise your artwork. Then mail everything to info@JUMP-and-REACH.com and a few weeks later your discs will land at your doorstep hot off the press - it can't be easier! So, play up! - ... and if questions come up, don't hesitate to contact us any time by phone at +49-6131-90 50 27 or through the contact form. 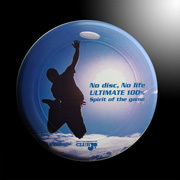 PS: Minimum order per combination should be 10 discs.